Since 2003, I’ve helped more more than 200 business to sell their products and services online. I’ve seen (and made) a lot of mistakes. 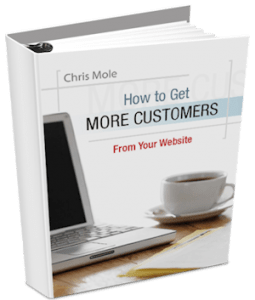 Particularly, I’ve seen huge amounts of money wasted by businesses who paid thousands of dollars for websites that failed to convert visitors into customers. 1. Build a flexible website that can be continually updated on the fly. If you get nothing else from this post, take note of this. Most web design agencies will build you a nice-looking website that functions well technically. But until you launch it and start sending traffic to it, you don’t know how well it’s going to work at generating leads and./or sales. As far as the web design company is concerned, ther job is done once the website is launched. But for you, the heartache is only just beginning if the results from the new website are disappointing. (And in 95% of cases they will be, at first). If you hire a separate marketing agency to run Google AdWords, Facebook ads etc., their efforts will be hampered if your website doesn’t convert the traffic into customers. They will want to make changes, to improve the conversion rate. But if the web design company controls access to the site and they are the only ones who can makes changes – well you are stuffed (to put it somewhat crudely). Getting changes done will be slow, cumbersome and often costly. Small changes to headlines, text and images can make a huge difference to conversion rate of a website. That’s why it’s so important to see your website as a continual work in progress, where you can test and tweak. Make sure your web design company understands this at the outset. Make sure they give you full control over the website. Even if you don’t personally use this, your web marketing agency will thank you later. 2. Use small amounts of paid advertising to get traffic to your website. Paid advertising, such as Google Adwords and Facebook paid ads, is the fastest way to get traffic to your website and see how well it converts. Start with a small budget and see the results. Then test and tweak. How quickly and easily you can test and tweak depends on point 1 above. That’s why I stress again – it’s so important to be able to make continual changes to your website on the fly. 3. Gather data and figure out where your visitors are exiting your website. At this point, most businesses will be relying on a marketing expert to do this. But as a business owner, you should at least know that this is required and ensure it gets done. 4.Make changes to your website based on the data. I keep repeating the message that you need to make ongoing changes to your website to improve the conversion rate. I’ve seen businesses turned around within a few weeks, from going broke to being profitable – just from making changes to their website. It can be as simple as changing a headline or a photo. Small things can make a big difference. I’ve seen it time and again. 5. Once you’ve started to see serious conversions, it’s time to pour gas on the fire. So, here’s the secret. You test over a few weeks or months with small amounts of paid advertising and keep tweaking the website until you get a good conversison rate. By a “good” conversion rate, I mean one that makes you a profit you’re comfortable with. So, if you spend $100 on Google AdWords and you get back $1000 in net profit – that’s a great result. You can scale that up as much as you want, confident that you won’t go broke paying for wasted advertising. This is the time to invest in more advertising, search engine optimisation, social media etc. Because you now know the website is working to convert traffic into profit. So, in summary, I hope I’ve challenged you to think differently about your web design and marketing. The initial website design is just the starting point. You need to expect – prepare yourself mentally and financially – to have to make changes, test and tweak until your get it right. Plan on this. Get your website converting first with a small amount of traffic. Then scale up your marketing.